It’s the Kerlin Cares Promise! Our promise to you to give the best possible price every time. 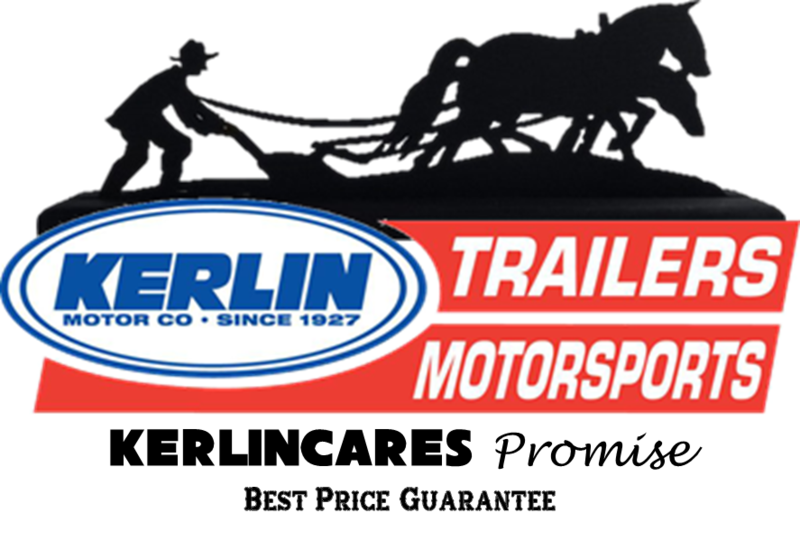 Our promise guarantees that Kerlin Trailers will always have the lowest price. Just provide us with a written quote for the same year, make, model and optioned trailer prior to your purchase and we will beat that price! It’s our promise to you. The guarantee is eligible on new in-stock units only, and the written quote must match the in-stock unit. The written quote must note that the quoted trailer is in-stock and is not a special order or an in-coming trailer. The quoted trailer must be in “new” condition with no damage and comes with the full standard manufactures warranty. The guarantee is eligible on units sold anywhere in the continental United States, but does not include shipping charges to your location. The guarantee cannot be combined with any other offer or sale. Due to differences in market-values across the country and individual dealership customer interests, trade values are difficult to match, therefore trailers with trade-ins are not eligible for the guarantee, but we will still maintain our core values of doing our best to save you as much money as possible. Kerlin Trailers does reserve the right to verify the information before approval and therefore reserves the right to deny a quote at any time.